Add some space themed drama to your bathroom decor with these unique bath mats inspired by characters and vehicles from the Star Wars saga. These officially licensed bath rugs are a fun way to bring the space adventure series into your home. Add a bit of the Dark Side to your bathroom decor with this black and white mat in the shape of Darth Vader's menacing mask. 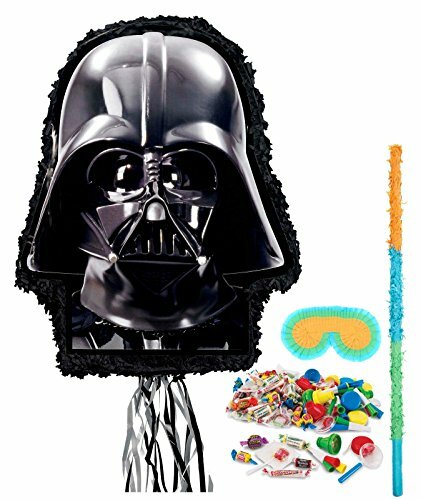 This is a cotton bath mat formed in the shape of Darth Vader's famous mask. The black rug has white detail lines to make the image clear in the soft tufted cotton material. The plush bathroom rug measures about 24" by 30". This fun bath mat is shaped in the figure-eight style of The Force Awakens' orange-and-white sidekick droid BB-8. The small mat is made of cotton and measures about 12.5" by 10". This is a round bathroom run with a black-and-white print scheme in the style of the famous Death Star. Shades of grey and black cover the round mat and half of the spherical shape is darkened by a faux shadow. This mat measures about 24" by 24" and is made of 100% cotton in a soft plush pile.